So there are a ton of exciting things happening music and concert-wise this weekend through the Three Rivers Arts Festival starting Friday, June 7th as well as the start of the “Weather Permitting” concert series this Sunday, June 9th. Here’s a chronological list of all the bands coming by day and time of performance as well as what stage they will be performing on. Because there are multiple stages, you may find this map to be helpful. 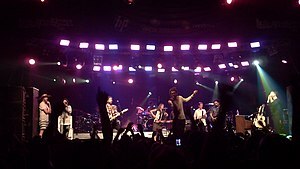 7:30pm-9:00pm The Headliner for Friday night is California-native, indie folk rock band Edward Sharpe and the Magnetic Zeros. Known for the popular singles “Home”, “Janglin”, and “40 Day Dream” from their debut album Up from Below, as well as songs from last year’s follow-up album Here, Edward Sharpe and the Magnetic Zeros will cap off the evening on the Dollar Bank Stage. The band will also be releasing a self-titled third album set to release on July 23rd. As a side note lead singer Alex Ebert is also the lead singer of Ima Robot, the group responsible for the awesome theme song of the popular USA network series Suits. All fan-hood aside, I digress from the rest of the weekend music happenings. Arts Greenhouse Collective, a local hip hop education program, will school you with original beats and rhymes while performing from 12:00pm-12:30pm as well as 2:00pm-2:30pm on the Family Stage at Giant Eagle Creativity Zone. The Arts Festival will feature a ton of other great bluegrass bands on Saturday. Starting with the Allegheny Drifters from 2:00pm-3:00pm on the Dollar Bank Stage. 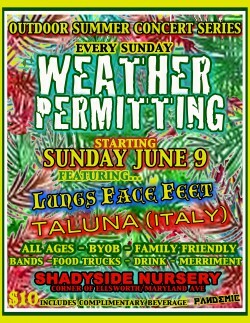 Starting June 9th Shadyside Nursery will be hosting a concert series in collaboration with Fukuda and Pandemic titled “Weather Permitting PGH.” Together they’re bringing a great mix of music, relaxation, food, drink, and summer fun every Sunday evening from 5:00 pm-9:00 pm. The concert series is called Weather Permitting and it boasts a “chilled out, relaxed, bring a blanket and some wine, nurse the hangover, bring the kids” environment. The weekly outdoor concert will take place every Sunday through the rest of summer and is looking to bring in a diverse audience through, for lack of a better word, a diverse collection of musical groups, food vendors/trucks and children’s activities. Admission is $10, which includes a complimentary beverage with proof of ID. Kids get in free, again this weekly event is family friendly. 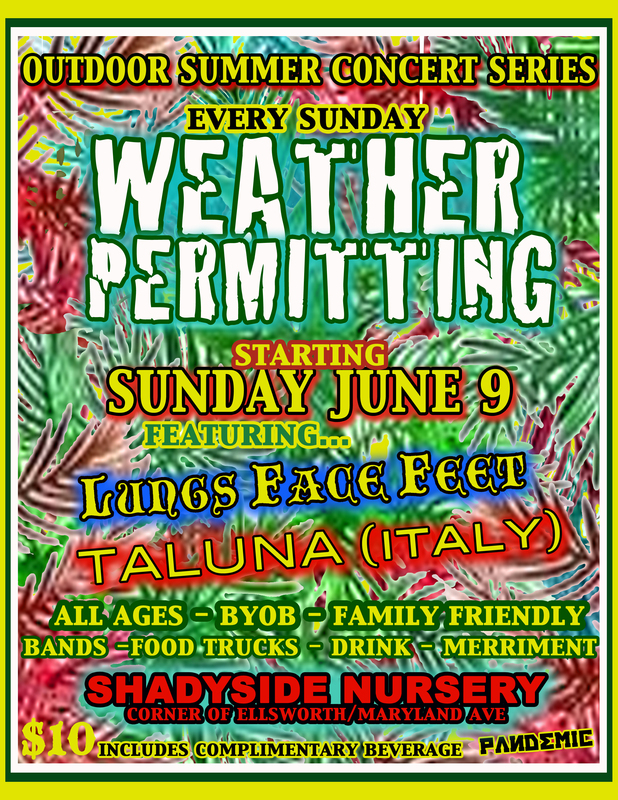 Shadyside Nursery is located on 510 Maryland Avenue (at the corner of Ellsworth Ave.) This looks like a great event if you’re looking to experience something a little different each week. Check out them out on Facebook. Sunday will also feature Taluna, a Mediterranean folk/”Spacefolk” band from Italy. Listen to more Taluna on their website. Phew, that’s a lot to digest (and that’s not another strange band name, don’t worry). See you out there this weekend, I’ll be cutting it up at a few of these shows. Check back each week for more weekend music updates.